Clone Wars fans prepare to get excited for a special 'Ahsoka' panel which is to be held at Star Wars: Celebration Europe 2016. Lucasfilm have named this panel 'Ahsoka's Untold Tales'. According to the description of the panel, the focus will be on looking at untold anecdotes of Ahsoka's past, from Plo Koon's discovery of Ahsoka to the stories which were to be told in unproduced episodes of the Clone Wars. The panel is scheduled to take place on Friday July 15, 2016, between 11:00 AM and 12:00 PM (GMT). This means that this will be the first panel of the day and what a way to get people hyped for the rest of the day's events at Star Wars: Celebration. The panel contributors will consist of Dave Filoni (Supervising Director of Star Wars: The Clone Wars & Star Wars: Rebels), actress Ashley Eckstein (the voice of Ahsoka Tano in The Clone Wars & Rebels) and Pablo Hidalgo (member of Lucasfilm Story Group). For more information on the press release, such as the name of the venue and hall the panel will take place on, click on the link at the bottom of the article. 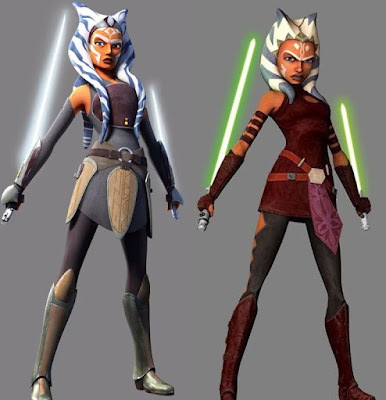 Who else is excited about more Ahsoka at Star Wars: Celebration? Oh. Oh man. Now I'm really sorry I'm not going to be able to make it! Can't wait for the recording that will be made of it. I'm jumping in my chair right now! This is awesome news!!! !